Due to the number of golf courses and warm climate all year round, more golfers are choosing Mallorca as the destination for their golf holiday. Majorca offers many different golfing resorts, including Magaulf, Palma and Portals Nous, with every need of golfers catered for, making golf holidays in Mallorca Spain extremely popular. 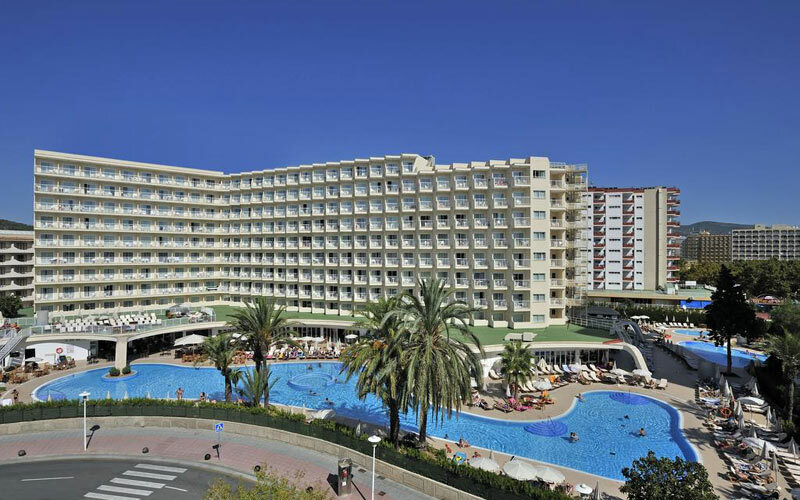 The Marina Portals is a luxurious 4* hotel, superbly located in Portals Nous in the centre of Majorca. The hotel is surrounded by sumptuous gardens and swimming pools as well as refreshing cafes and bars. 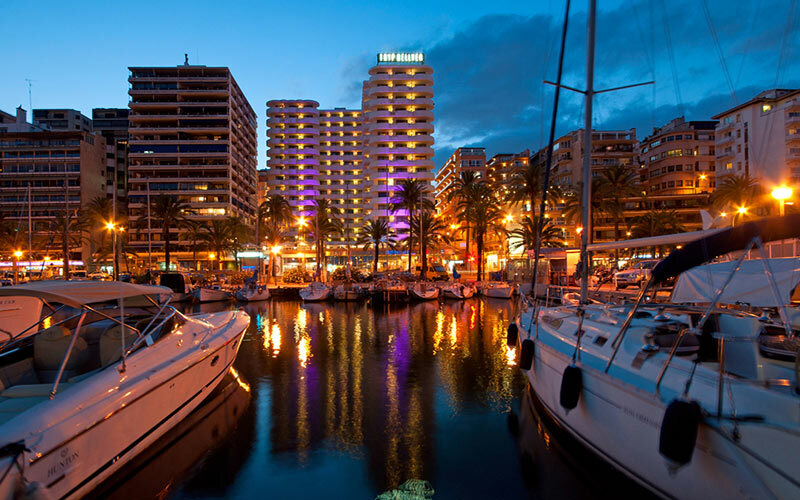 The hotel is in close proximity to the luxurious Puerto Portals, an awe-inspiring sight of boats, yachts and blue waters. This area is also primed with vibrant bars and restaurants serving the finest seafood and European dishes. Colourful rooms all offer comforts such as satellite television, private bathrooms and air conditioning. 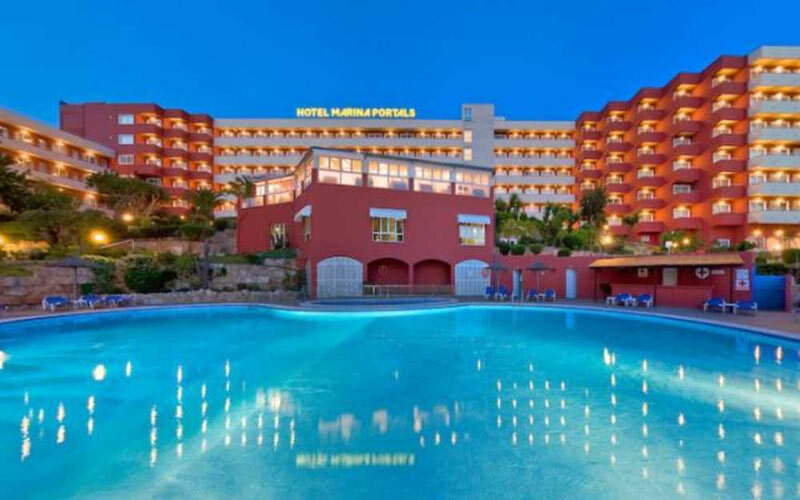 The 3* Sol Guadalupe Hotel is located in the leisure and shopping district of Magaluf and close to all the well known night life, without being too close, and is 100 meters from the beach. The hotel offers comfortable accommodation with well-appointed guest rooms which feature a range of amenities, with four golf courses nearby. 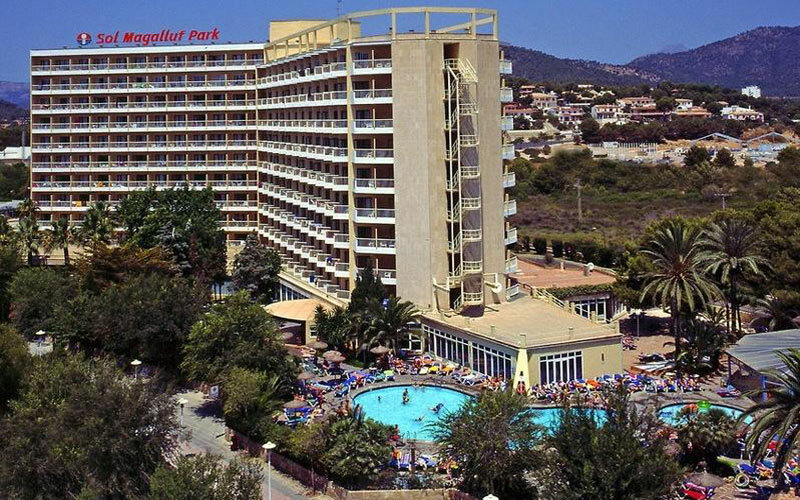 The 3* Sol Magalluf Park Hotel is located alongside all of the shopping, dining and entertainment facilities of the resort and is 150m from the beach. The hotel offers a total of 422 guest rooms, which are elegantly decorated, loaded with standard amenities and a completely furnished terrace. The 3* Sol Trinidad hotel is located right in the heart of the entertainment and shopping area of Magaluf and only 50m from the sandy beach. The hotels excellent facilities include a choice of attractive pools with a tropical feel and evening entertainment. The 5* Marriott Son Antem Golf Resort & Spa has finely furnished guest rooms and suites with balcony’s or terrace’s overlooking the golf course or pool. 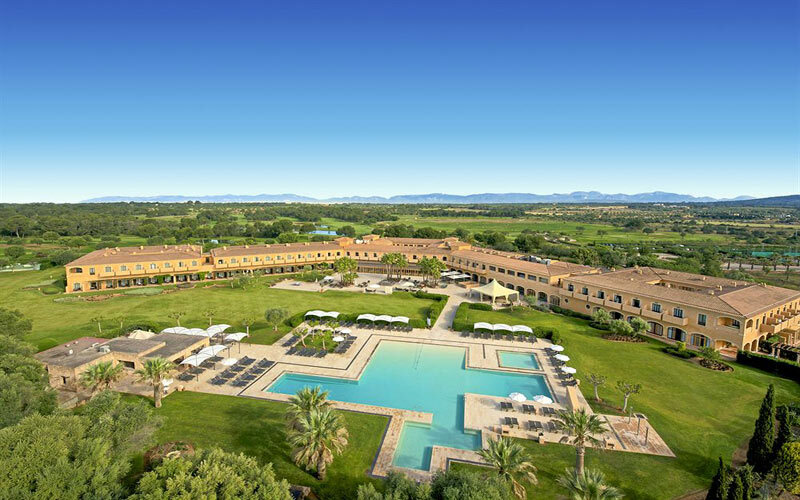 Close to Palma, the airport and famed beaches, the Mallorca Marriott Son Antem is the only resort in the area with two 18-hole courses, and features an impressive driving range and Golf Academy staffed with PGA pros. Ideal for Majorca golf holidays. Renovated in 2013 – the 4* Tryp Bellver is located along the seafront and close to the Bay of Palma de Mallorca. The hotel offers a terrace equipped with sun beds, pool snack bar, free Wi-Fi and a bright, modern lobby. The hotels personalised service and excellent facilities make it the ideal choice for a hotel in Palma. 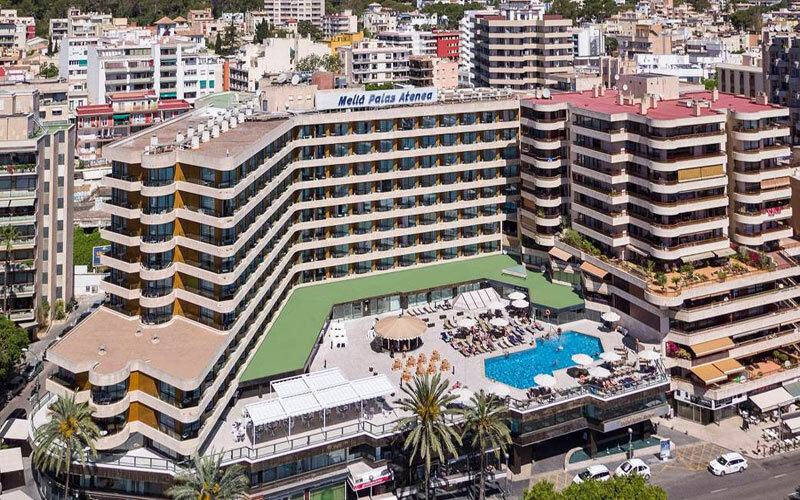 The 4* Melia Palas Atenea was renovated in 2013 and is located on the beautiful bay of Palma; a short walk away from the old city where you can find many bars, restaurants and shops for your golf holidays in Mallorca Spain. The hotel offers 361 rooms, 150 are sea view and 8 junior suites, as well as the YHI Spa, an a la carte restaurant, free Wi-Fi and the Blue Lounge Bar.